Princess-themed party? 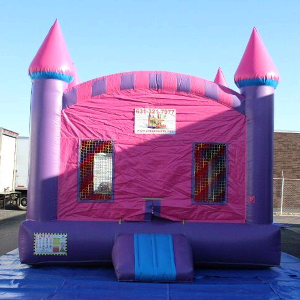 We’ve got the perfect bounce unit – the Pink Castle Bouncer! Great for kids of all ages, and it comes with a basketball net inside! We deliver to all of Nassau and Suffolk County for party and inflatable rentals. We also deliver to ALL the Hamptons for all your inflatable and party needs!